This card was a little last minute since I made the card a day before giving it to my aunt. I went with a red scheme since you can't go wrong with that color when the recipient is Asian! 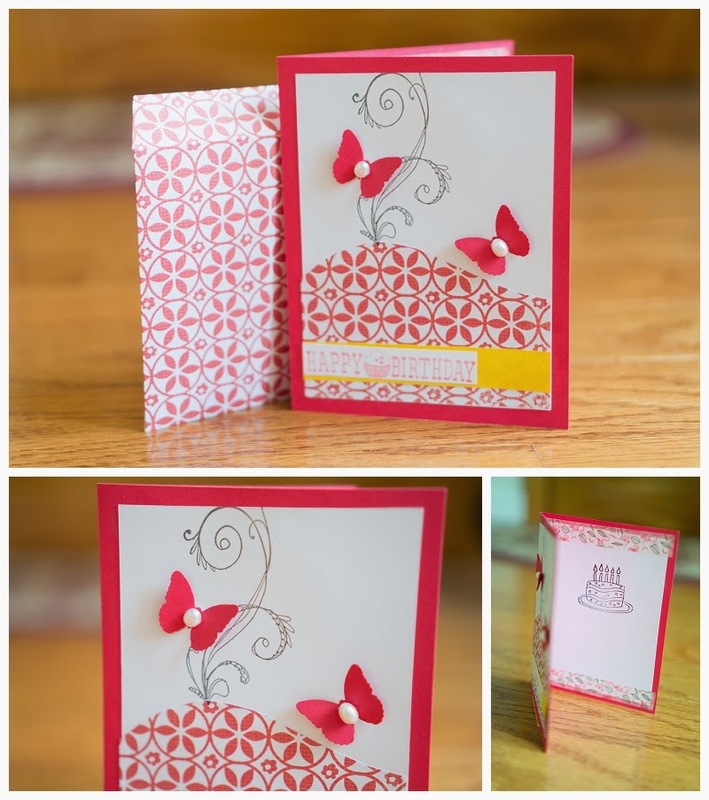 I searched around on pinterest for some ideas and I combined several to get a similar card. I absolutely love the fact that I am using up scrap paper, so now I don't feel so wasteful! The pearls on the cards were given to me several years ago and are meant for stringing but anything will stick with a glue gun!